The Ontario Association of Fire Chiefs (OAFC) annual conference provides educational programs that are geared to everyone working in fire and emergency services, or a related sector. Our 2019 schedule offers programs that focus on professional development to specific areas of the fire service. Fire chiefs, senior fire officers, company officers, firefighters, training officers, communicators, public educators, fire prevention officers, airport rescue and firefighting personnel, mechanical officers, and municipal officials from across Ontario come together for professional development, networking, and collaboration. With eight programs to participate in, attendees walk away with innovative information that covers all areas of the fire service, including: technological advances, real-life fire incidents, navigating the political environment, public and life fire safety, management/leadership development and more. OAFC 2019 Trade Show, the largest fire and emergency trade show in Canada! All those in the fire service are welcome to attend! 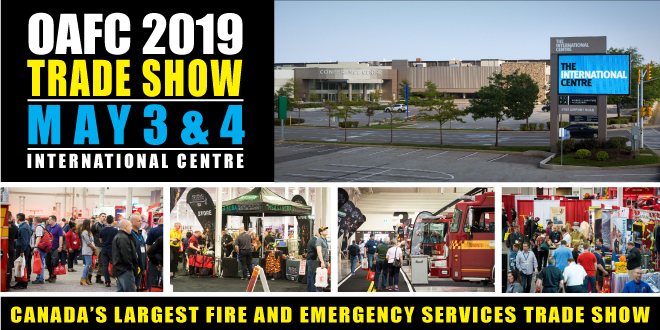 The OAFC 2019 Trade Show is the largest fire and emergency trade show in Canada. The show boasts over 250 booths and fire vehicles, and is proud to host the largest and most successful gathering of fire service manufacturers and suppliers in Canada. The Trade Show offers direct access to sales teams who supply Ontario's fire departments with the important lifesaving apparatus, gear and services that they rely upon every day! The show is open to everyone in the fire service, and is included in all registration packages. Visit the OAFC 2019 Trade Show page to see who's exhibiting, whats happening on the show floor, and to get passes. Toronto Strong: The Toronto Fire Services response to the Yonge Street Van Attack and the Danforth Avenue Shootings. On April 23, 2018, a van attack on Toronto's Yonge Street killed 10 people and injured 16 more. On July 20, 2018, a lone gunman killed 2 people and injured 13 more on Toronto's Danforth Avenue. In this presentation, Toronto Fire Chief Matthew Pegg will provide fellow first responders with an overview of Toronto Fire Services' response to these mass-casualty incidents and share his thoughts on how Fire Chiefs can begin to prepare for these types of incidents. He will also discuss how these incidents have impacted the responding Firefighters and how the City of Toronto came together in the wake of these tragic events. Benjamin Franklin is widely known for his many contributions to science, politics, and community-building across the globe, including forming one of the earliest North American fire companies in 1736 Philadelphia. Franklin’s maxims on exercising leadership are as relevant today, as they were when he served as the Union Fire Company’s first fire chief. The deadliest and most destructive wildfire in California's history required a massive response that involved the mobilization of various agencies, personnel, equipment and resources. CAL FIRE Deputy Director of Communications Mike Mohler will break down the timeline of the initial response to the November 2018 Camp Fire. Although the incident burned for over two weeks until firefighters were able to contain it, most of the loss of life and property destruction happened in just the first four hours and was centered in and around the town of Paradise in Butte County. All told, the Camp Fire burned 153,336 acres, destroyed 18,800 homes and killed 85 people. Utilizing the RESHAPE model, Tiffanye will educate participants on the importance of building an effective culture, one where all can thrive. We save lives. We're pillars in the community and have our constituents safety and wellbeing at heart. We have so much to say supporting such a good cause. So why aren't more people getting involved? Maybe we need to do less and inspire more. In this exhilarating 45-minute keynote presentation, author and former television producer Andrew Davis will teach us the five secrets to telling stories that inspire others to act. You'll learn how to create moments of inspiration. Moments that inspire your audience to go on a journey they never expected. You'll learn the secrets to owning the entire consumer journey, and he'll uncover the secret question to discovering what inspires your existing partners and volunteers to get involved. You’ll walk away ready to create your own moments that inspire new stakeholders, and volunteers to act in predictable and repeatable ways. May 1, 2019 - Fire Service Health & Safety Program: The Fire Service Health & Safety Program addresses topics that are at the forefront of health and safety in the fire service. The goal is to provide information, resources and training to help reduce the number of preventable injuries in the fire and emergency service. This includes a cultural and leadership focus on safety in every aspect of the job, as well as physical and mental health fitness. The event is relevant to anyone working in a fire department, whether full-time or volunteer. The program takes a more interactive approach by allowing participants to be actively involved in the presentations, and presenting the important information you need on health/safety issues in a modern day fire service. May 1, 2019 - OAFC Queens Park Advocacy Day: The OAFC will be hosting a Queens Park Advocacy Day, the day before the commencement of OAFC 2019. The purpose of the Advocacy Day is to promote the OAFC priorities at Queen’s Park through meetings with elected officials, question period, and a reception event. Queen’s Park advocacy days are an extremely effective tool for organizations and associations to raise our unique concerns to elected officials and policy makers. Advocacy days enable the lobbying group to dominate the agenda at Queen’s Park through question period, member’s statements, face-to-face meetings, and receptions. Each track is tailored to specific areas of the fire service, and each program includes applicable keynote speakers and evening functions. All packages include access to the trade show. Attendees are free to choose the sessions they want to attend. The Chief Officer Program provides educational development for chief fire officers who are involved with the operation, and are responsible for, the delivery of fire protection services in an urban, rural or suburban fire/rescue service. This track offers important information and resources to enhance skills, and develop leadership and executive-level knowledge to further excel in your chief officer role. This registration package includes specialized tracks on Thursday, May 2. Delegates partake in keynote presentations and then can choose from ALL specialized sessions, based on specific interest. May 2-5, 2019 - Training Officers Track - 3.5 Days: The Training Officer’s Program includes all keynote sessions, and a 6-hour session on new research and tactics on understanding and fighting basement fires. This program offers the perfect opportunity to build a network to share best practices and resources with other training professionals. May 2 & 3, 2019 - Public Educators Track - 2 Days: The OAFC and the Ontario Fire & Life Safety Educators have developed the public educator’s program, specifically tailored to promote education initiatives relevant to today’s public fire educators and fire prevention officers. The program is designed to share information, resources and network with likeminded professionals. This role is very important in a fire service, as most fires are preventable. Ontario’s public educators educate, train, motivate and inspire fire and life safety programs and messages in their communities. This program will help develop new, innovative ways to promote fire safety and education. May 2 & 3, 2019 - Municipal Officials Track: The Essentials of Firefighting and Firefighting 101 - 2 Days: This program offers elected officials the opportunity to understand the challenges of the fire service and its importance in their communities. This two-day session includes presentations customized to provide the essential information about the fire service. The highlight of the program is our interactive, hands-on fire training session! Municipal officials slip into bunker gear and experience firsthand the life of a firefighter by participating in a live fire training session. Past attendees have included: government officials, mayors and councilors, CAO’s, directors and other senior municipal staff. May 3, 2019 - Fire Communicators Track - 1-Day: The Ontario Fire Communicators Association (OFCA), in conjunction with the OAFC, have developed a forum to help communicators understand more about today’s common issues facing Ontario’s communication centres. Fire communicators are those responsible for the processing of requests for emergency and non-emergency assistance received via 9-1-1 lines, administration lines, the radio system or direct contact with the public. They work closely with communicators from police, EMS and other services to provide rapid, effective response. The seminar includes a variety of presentations specifically selected on important issues facing communicators in today’s fire service. OAFC 2019 is the largest of its kind in Canada and offers something for everyone in today's fire services. It is the not-to-be missed event of 2019! The official hashtag of OAFC Conference and Trade Show! OAFC 2019 offers multiple packages that accommodate all types of attendees with varied interests. If you have any questions about our registration options, please contact us! Our staff team is here to assist you! Please visit the OAFC Queen's Park Advocacy Day page on our website on how to register for this event. This is open to OAFC Individual members only. Breakfast, breaks and lunches each day. If you are an EXHIBITOR, please visit the OAFC 2018 Trade Show EXHIBITOR section. The OAFC 2019 Trade Show is the must-attend exhibition for the fire service in Canada. You can find everything you need within the 250 booths and fire vehicles being showcased in over 170,000 square feet of dedicated trade show space. This is where your purchasing committee and mechanics can get on-the-spot answers to their questions from company experts. Get your fire department purchasing done in record time, and take advantage of promotions and specials offered by exhibitors. The trade show takes place on Friday, May 3 and Saturday, May 4 from 10:00am until 4:00pm both days at the International Centre, located at 6900 Airport Rd, Mississauga, Ontario, L4V 1E8 in Halls: 2, 3 & 4. The main entrance to the show is located by Halls 2 & 3. More information on the venue, including parking and special services can be found below. Admission and trade show shuttle are included with any conference registration. All members of the fire service are welcome to attend. Day passes are available for $20.00, or you can receive a free pass from your fire chief. As a benefit of membership, each OAFC member receives complimentary trade show passes to distribute to members in their fire department. Passes will be distributed in March 2019! Click the image below to open and view the interactive floor plan and explore our exhibitors. Please note that on Thursday, May 2, 2019, delegates may choose the track/session they would like to participate in. PUBLIC EDUCATORS TRACK: Drown proofing 1st Responders Wendy Lund, CEO/Founder, Wellth Management Inc. Please note the main conference hotel is full on a few select dates. We are taking a waiting list. Please contact OAFC Events & Trade Show Coordinator Kris Newton by email to kris.newton@oafc.on.ca to be put on the waiting list. The Holiday Inn® Toronto International Airport is newly renovated, conveniently located minutes from Toronto's Pearson International Airport and The International Centre. Easy access to highways 401, 427, and 407 will put guests just minutes away from Toronto attractions. Guests can take advantage of their 24-hour airport shuttle service and accessible location. The Holiday Inn is excited to announce the completion of a $15 million renovation. The transformation includes a makeover of the properties 451 guest rooms, and suites to complement the inviting lobby, public area and flexible conference space. The redesigned restaurant, Bistro YYZ will tempt your pallet for breakfast, lunch, or dinner offering an array of beer and wines. What would an airport hotel be without a coffee bar for the early morning departures; Seattle's Best is now serving at 6:00am. THE ROOM RATE IS NOW EXPIRED. ADDITIONAL ACCOMMODATION OPTIONS ARE AVAILABLE BELOW AND ARE ALL VERY CLOSE TO THIS HOTEL. The Ontario Association of Fire Chiefs are indebted to the many sponsors who contribute year-after-year to our annual conference and trade show. With their continued support, we are able to offer attendees excellent and informative guest speakers, entertaining evening functions, delicious refreshments, improved communications and continued development to services that the OAFC members rely on day-to-day. A special thank you to the following organizations for the support of OAFC 2019, and the fire service in Ontario! OAFC 2019 offers two evening functions promoting social opportunities, raising funds for a great cause and networking with industry colleagues. 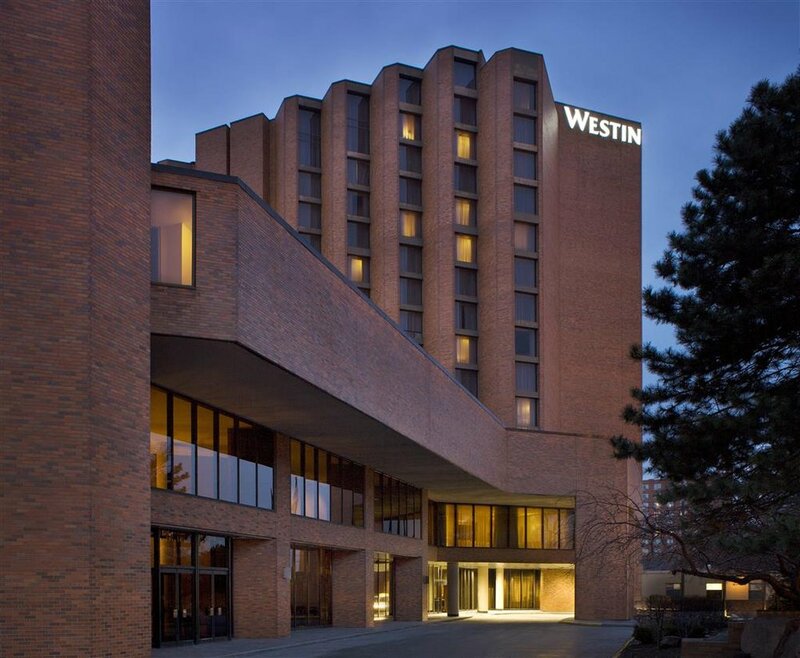 All evening functions are conveniently located at the conference venue, the Holiday Inn Toronto Airport Hotel & Conferene Centre. Conference guests and trade show vendors come together for a fun night of networking and fundraising at this complimentary event. Last year, together with our sponsors, vendors and delegates, we raised over $50,000 for the Canadian Fallen Fire Fighters Association. There are many organizations that can use our help to raise funds for their worthy causes. This year we will be raising funds for three very notable causes. Donations will be divided, with each receiving a third of all proceeds from this event. Camp Bucko: (Burn Camp for Kids in Ontario) is a camp open to burn survivors between the ages of 7-17. There is no fee to attend Camp BUCKO. They are a registered charity providing the program through generous donations from firefighters associations, service groups, and other public and private organizations. A Board of volunteers from across Ontario plans for camp all year. With the donations we receive we are able to fully fund each child’s stay at camp, their transportation and provide them with souvenirs from camp, otherwise known as “swag”. Ontario Fire Services Pipes and Drums: The Ontario Fire Service Pipes and Drums is one of the first pipe and drums corps for the Ontario fire service. Their longstanding service to the OAFC and the fire service is extremely valuable. We want to ensure that they continue to be able to travel and play at our fire service events. The Working Minds First Responders: As many know, this mental health resiliency program is extremely important, and valuable for the fire service. Proceeds will go to fully fund as many programs as we can offer. The OAFC Memorial Service is an annual event held to honour the chief officers who have passed away since our last conference. It is an extremely moving service. The service has many special guests in attendance. This year includes the Niagara Falls Colour Guard, the Ontario Fire Service Pipes and Drums and Harbourtown Sound choir. This is our most revered, and well attended event of the year. The service is conducted by the Niagara Fire Chiefs Association. We are extremely grateful for their continued support. If you have a chief officer who has passed away in the last year, and would like to honour them by laying a helmet at this year's ceremony, please visit www.oafc.on.ca/ontario-association-fire-chiefs-memorial-service-form to submit the name of the chief officer, and the fire department contact information. OAFC 2019 will be offering continuous shuttle service to the International Centre from the Holiday Inn Toronto Airport Hotel & Conference Centre to ensure guests can travel to the trade show worry free. Guests staying at the Westin will easily be able to use the shuttle due to the proximity of this property to the Holiday Inn. The International Centre is approximately a 5-minute drive from the Holiday Inn Toronto Airport Hotel & Conference Centre, depending on traffic conditions. There are two shuttles doing continuous loops, approximately every 20 minutes. Pickup location at the International Centre: Hall 2 entrance. Guests are welcome to drive to the International Centre. Parking is ample and free. On May 1, 2019 the Ontario Association of Fire Chiefs (OAFC) will be hosting our inaugural Queen’s Park Advocacy Day. This will be the first time that chief fire officers from across Ontario come to Queen’s Park to meet with elected officials and advocate to Members of Provincial Parliament and staff on fire service issues. Queen’s Park Advocacy days are an effective and efficient tool in developing and furthering the relationship between the fire service industry and elected officials from all political parties. It is an opportunity for chief fire officers from across Ontario to come together as one voice to share our vision of fire safety in Ontario. On the afternoon of May 1, the OAFC will be coordinating meetings for chief fire officers with Ministers, MPP’s, and political staffers from all political parties to discuss: Mental Health and WSIB, Fire Service Regulations, increasing access for volunteers to drive fire apparatus’, no-service calls, carbon monoxide alarms in public spaces and other areas of concern. Once the afternoon meetings conclude, the OAFC will be hosting a reception in Legislative Assembly Dining Room, where we will continue to speak to our agenda with MPP’s and staff from all parties while enjoying refreshments and food, in a more informal and relaxing environment. Should you wish to participate in the OAFC’s inaugural Queen’s Park Advocacy Day, you can submit your interest on the registration page. There is no fee to participate, however you must be able to confirm attendance. Mark Tishman, OAFC Program and Policy Analyst will contact you directly and provide additional details. Important information: This event is open to OAFC Individual members only. To participate it is expected that you will be available to partake in meetings from 1-5:00pm and attend the reception. Space is limited to 50 participants. To register, please select the OAFC Queen's Park Advocacy Day option on the registration page. Our office will contact you directly with additional information. Questions can be forwarded to Mark Tishman by email to mark.tishman@oafc.on.ca or call 905-426-9865 x228. The Fire Service Health & Safety Program addresses topics that are at the forefront of health and safety in the fire service. The agenda is created in consultation with the OAFC Health & Safety Committee, who remain at the forefront on health and safety issues in the province. The goal is to provide information, resources and training to help reduce the number of preventable injuries in a fire and emergency service. This includes culture and leadership focus on safety in every aspect of the job, as well as physical and mental health fitness. The program is relevant to anyone working in a fire department, whether full-time or volunteer. The program takes a more interactive approach by allowing participants to be actively involved in the presentations and receiving “straight talk” on the important health/safety issues in a modern day fire service. This presentation will provide chief officers with an overview of the Occupational Health & Safety (“OHS”) legal framework in Ontario; then how to managing the legal reporting of accidents, Ministry of Labour Inspectors visits, Orders, appealing Orders, when to report accidents, pre-charge legal rights, post-charge rights, and how to improve OAFC relationship with the MOL. Norm has an active white collar defense and government investigation legal practice. Norm is on the White Collar Crime Committee of the American Bar Association and a regular speaker at the ABA’s annual White Collar Crime Institute. He is a member of the International Bar Association’s White Collar and Business Crimes Committee and an IBA Officer. He is also a member of the Canadian Bar Association’s Anti-Corruption Committee. Norm has authored a number of leading books including, Corporate Crime, Accountability and Social Responsibility in Canada (2nd ed. ), Insider Trading in Canada (2nd ed.) and Canadian Anti-Corruption Law and Compliance (2nd ed.). Norm is also the editor-in-chief of the firm’s White Collar blog: www.whitecollarpost.com and the newsletter White Collar Crime & Compliance (Lexis Nexis). This presentation will provide an update from the Section 21 Committee on the recent committee work, new and revised Section 21 Guidance Notes and discuss new and emerging fire service health and safety trends. Rob is the Fire Chief and Community Emergency Management Coordinator for the Town of Niagara-on-the-Lake. Niagara-on-the-Lake Fire & Emergency Services is comprised of five stations, 15 apparatus, 110 volunteer firefighters and responds to approximately 650 calls annually. Rob started his career as a volunteer firefighter in Niagara-on-the-Lake 22 years ago and has served as a firefighter, lieutenant, captain and assistant district chief prior to his promotion to fire chief. In addition to his time in Niagara-on-the-Lake, Rob served for 10 years as the Fire & Paramedic Services Chief for Haldimand County. Prior to that he worked as a career firefighter with the Toronto Fire Services and as a paramedic with Niagara EMS. Rob is a graduate of the Dalhousie University Emergency Services Management Program, the Ontario Fire College and the New York State Academy of Fire Science. Rob has been a member of the Ontario Fire Services Section 21 Committee since 2015 and was recently appointed as the management co-chair on behalf of the OAFC. Rob also serves as a Vice President on the OAFC Board of Directors. There will also be time to ask questions and share ideas. Juanita Martin has been with the Ministry of Labour for 12 years. She started as an inspector and has worked as a policy advisor, leading changes to health and safety regulations. In her current role as a Provincial Specialist, she holds the Fire Services portfolio, providing guidance and advice to inspectors in the field. Juanita also works with stakeholders and enjoys her role as the Ministry lead on the Fire Services Section 21 Committee. Prior to joining the Ministry of Labour, Juanita worked as a Paramedic and Training Supervisor for Hamilton EMS. She is passionate about the health and safety of first responders. Dan Bilsker has worked for several decades in the public mental health system (as an emergency psychologist) and in a research unit focused on innovative ways to enhance psychological health of the Canadian population. In recent years, he has primarily engaged in consultation to organizations seeking to improve psychological safety of their workforce and clinical practice of cognitive-behavioural therapy. He is a Clinical Assistant Professor at the University of BC and an Adjunct Professor at Simon Fraser University. This presentation will review next steps in your departments PTSD prevention program. It has been two years since all departments submitted their individual PTSD Prevention Plans to the Minister of Labour. I will be discussing what has happened and further steps you can take beyond initial training. The Chief Prevention Officer has directed PSHSA to develop programs and resources to aid emergency services in their next steps. This initiative will be reviewed including timelines, methods for delivery and dissemination. Additionally I will be speaking about the recent changes to the Mandatory Blood Testing Act as well as other changes to Occupational Health and Safety. These changes will have a significant impact on fire services in Ontario. Tim brings over thirty years of experience in the Ambulance and Fire Services. During this time Tim spent many years training in the fire service and college fire programs. This led to a specialization in the last ten years in Occupational Health and Safety and Infection Prevention and Control (IPAC) for Toronto Fire Services. In addition to the Company Officer and Training Officer Programs at the Ontario Fire College, Tim also completed IPAC course at Centennial College, OH&S at Ryerson University, Hazardous Material Operations and the National Chemical Biological Radiologic Nuclear Explosive (CBRNE) advanced level, Incident Safety Officer Instructor and Road 2 Mental Readiness (R2MR) Instructor. In 2013 Tim received the Queens Diamond Jubilee Medial in 2013 for his involvement in two WSIB research projects exploring metabolic heat management for emergency services workers. Tim is a Canadian Registered Safety Professional (CRSP) currently works for Public Service Health and Safety as the Fire/EMS Specialist. According to the US Fire Administration, 87 firefighters died in the United States (reliable Canadian statistics not readily available) in the line of duty. Of these 87 firefighter deaths, 52 of them (almost 60%) were classified as stress/overexertion. Firefighting is hard work that puts extreme stress on the body. Firefighters are susceptible to many physiological changes as a result of heat stress and overexertion. An effective fireground rehabilitation program may save firefighters lives by working to reduce heat stress and exertion, and by effectively monitoring firefighters for signs of distress. This session will review the need for effective fireground rehabilitation, present three different fire departments fireground rehabilitation procedures and then offer a panel discussion and opportunities for questions. This session will assist fire departments of all sizes and demographics with establishing effective fireground rehabilitation procedures. The registration rate for the OAFC Fire Service Health & Safety Program is $250.00 plus HST. The event takes place at the Holiday Inn Toronto International Airport Hotel & Conference Centre at 970 Dixon Road, Toronto. Attendees are responsible for booking their own hotel accommodations. Visit our accommodations page for more information. Complimentary shuttles will be operating every 20 minutes between the hotel and the International Centre. REGISTER FOR THE FIRE SERVICE HEALTH & SAFETY PROGRAM NOW! The Chief Officer track provides professional development for those who are involved with the operation, and are responsible for, the delivery of fire protection services in an urban, rural or suburban fire/rescue service. This track offers important information and resources to enhance skills, and develop leadership and executive-level knowledge to further excel in your chief officer role. This registration package includes specialized tracks on Thursday, May 2. Delegates partake in keynote presentations, and on Thursday, May 1 can choose from any of the session/tracks, based on specific interest. Don't forget the pre-conference events, the OAFC Fire Service Health & Safety Program and the Queen's Park Advocacy Day (OAFC members only) on May 1, 2019. You are able to choose from any of the sessions being offered on Thursday, May 2 based on your specific interest. On April 23, 2018, a van attack on Toronto's Yonge Street killed 10 people and injured 16 more. On July 20, 2018, a lone gunman killed 2 people and injured 13 more on Toronto's Danforth Avenue. In this presentation, Toronto Fire Chief Matthew Pegg will provide fellow first responders with an overview of Toronto Fire Services' response to these mass-casualty incidents and share his thoughts on how Fire Chiefs can begin to prepare for these types of incidents. He will also discuss how these incidents have impacted the responding Firefighters and how the City of Toronto came together in the wake of these tragic events. Matthew Pegg is the Fire Chief in the City of Toronto, Ontario. Toronto Fire Services is the largest fire service in Canada with 3,200 full-time personnel. Matt is also the General Manager of Emergency Management, overseeing the Toronto Office of Emergency Management. Prior to being appointed as Fire Chief in Toronto, Matt served as a Deputy Fire Chief in Toronto, Brampton, Ajax and Georgina. Matt is a past President of the Ontario Association of Fire Chiefs, former co-chair of the Ontario Fire Service (Section 21) Advisory Committee to the Ontario Minister of Labour and past NFPA 1971/1851 Technical Committee member. Matt is a graduate of Dalhousie University in both Leadership and Administration, Queen’s University in Labour Relations and the Schulich School of Business' Masters of Public Management program. He is a recipient of the Heroism and Community Service Medal, Ontario Medal of Firefighter’s Bravery, the Fire Service Exemplary Service Medal and the Fire Services Long Service medal. Matt has been awarded the Executive Chief Fire Officer Professional Designation and serves as Honourary Aide de Camp to Her Honour Elizabeth Dowdeswell, the Lieutenant Governor of Ontario. Jon Pegg is the Fire Marshal and Chief, Emergency Management for the Province of Ontario. Jon joined the Office of the Fire Marshal and Emergency Management (OFMEM) in July 2018 as Chief, Emergency Management and in February 2019 was appointed as Ontario’s Fire Marshal. Prior to OFMEM, Jon worked for the Town of Innisfil, where he was Fire Chief and Community Emergency Management Coordinator. As Fire Chief, he supported the development of a Council-adopted Fire Master Plan, and led the suppression, training and prevention divisions. His career in fire services spanned more than 20 years, starting as a volunteer firefighter in Keswick with Georgina Fire Services. He later worked with Richmond Hill Fire Services (Fire Captain), Innisfil Fire (Deputy Chief) and Georgina Fire Services (Deputy Fire Chief). Jon has a degree in Leadership and Administration from Dalhousie University, as well as leadership diplomas and certificates from Mohawk College and Seneca College. He is a recipient of the Excellence in Leadership and Health Safety Award from the Town of Innisfil, and in 2018 received a Fire Service Exemplary Service Award from the Province of Ontario. Jon’s legacy has earned him a reputation for fostering strong teams and improving relations amongst his peers and colleagues. As the Fire Marshal and Chief, Emergency Management, Jon will lead OFMEM in enhancing and strengthening the emergency management and fire safety portfolios in Ontario. Fire chiefs in cities across the globe, from Toronto to Tokyo and everywhere in-between, are faced with an increasingly complex threat matrix as they are called to help address a wide range of incidents beyond the “traditional” scope of the fire service. This interactive session will provide urban fire chiefs with opportunities for discussing evolving practices to prepare for, respond to, and recover from high-threat incidents. Adam Thiel is the 20th Fire Commissioner for the City of Philadelphia. Commissioner Thiel is responsible for leading the Philadelphia Fire Department’s 2,850-plus uniformed and civilian members in every facet of protecting their nation’s 5th-largest city from fires and emergencies arising from all hazards. In February 2014, he was appointed to serve as a Deputy Secretary of Public Safety and Homeland Security for the Commonwealth of Virginia. In that role, he helped provide strategic direction, policy advice, management oversight, and operational coordination for eleven agencies with an overall budget of more than $3.1B and 30,000 employees. Deputy Secretary Thiel was directly responsible for the Departments of: Emergency Management, Fire Programs (including the State Fire Marshal's Office), Military Affairs (Virginia Army/Air National Guard), and State Police, along with the state’s Homeland Security and Resilience portfolio. Adam also served as the Governor’s deputy Homeland Security Advisor (dHSA), deputy Chief Resilience Officer (dCRO), Statewide Interoperability Coordinator (SWIC), and FirstNet State Single Point of Contact (SPOC). He facilitated the Secure Commonwealth Panel and Rail Safety/Security Task Force, co-led the state's National Disaster Resilience Competition (NDRC) project team to a $120.5M Housing and Urban Development (HUD) grant award, and collaborated with a myriad local, state, and federal agencies in managing all aspects of Virginia’s homeland security enterprise. In addition to public service, he co-founded two successful consulting practices advising on a wide range of clients on crisis management, leadership, training development, risk analysis, and business strategy. Adam is a widely published author and has spoken at events around the globe; he has also developed and taught college courses at multiple universities. The volunteer fire service is experiencing its biggest challenge to date with volunteer firefighter recruitment and retention. With today’s era of competing demands for the volunteer/potential volunteer firefighter, the question becomes, “What strategies are volunteer fire departments using to successfully recruit and retain volunteer firefighters?” This course is based on a three-year doctoral study and will offer participants proven strategies to reduce turnover and increase recruitment among all generation of volunteers. These strategies are not based on costly recruitment campaigns and incentives but offer practical professional applications that can be easily deployed. While this session is part of a larger presentation on some of the steps first responders should consider taking to enhance their personal insurance coverages, focus will centre on the interplay between WSIB benefits and personal auto insurance policies in the context of motor vehicle accidents during the course of employment. WSIB benefits are not necessarily the only road to recovery in these scenarios. Fire departments would benefit from increasing their awareness in this regard should a member be injured as a result of another driver’s negligence. Karen practices personal injury law at Lerners LLP in London. She is particularly interested in educating emergency service personnel about increasing their awareness of the importance of private insurance policies, having powers of attorney and Wills in place, the interplay between WSIB and personal auto insurance policies and the rehabilitation realities inherent with serious injury. Prior to becoming a lawyer, Karen served the citizens of Chatham-Kent for 10 years as a career firefighter. During that time, Karen sat on the Board of Directors for iWomen and Fire Service Women Ontario, for seven and six years, respectively, and continues to support both organizations. Chris will be discussing how he is leading Humberside Fire and Rescue Service, in the UK, to deliver a Fire and Rescue Service across four single tier municipalities, during a period of austerity and continually reducing budgets, and how he is mitigating the impact of budget reductions through work with the private sector and is taking an increasingly commercially minded focus to his role. In addition, Chris will talk about setting up a company as a Social Enterprise in 2012 to deliver safety services to the private sector. Chris Chairs the Board of HFR Solutions, which is based at Service Headquarters and currently returns around 1 million Canadian Dollars a year to Humberside Fire and Rescue Service. The company also makes significant contributions to local communities’ charities. It is now a sustainable, award winning, business that delivers services which include a private 24/7 Fire and Medical Response service at an Upper Tier Major Accident Hazard site (a large steelworks), managing an Airport Fire Service and providing Safety and Rescue teams for large scale construction projects. Along with other innovative public/private partnerships the Fire and Rescue Service is benefiting from different, more commercial, thinking at all levels whilst ensuring their core business is still delivering an excellent public sector emergency service. Chris Blacksell is Chief Fire Officer and Chief Executive of Humberside Fire and Rescue Service (HFRS), which is a UK Fire and Rescue Service covering 4 different Local Authorities (or municipalities) all with a different political make up. There are around 1 million people living in the area and his annual budget for the 31 fire stations, 4 Public Safety teams and corporate services is around £75 million Canadian Dollars. Chris joined HFRS as a Firefighter in 1988 and is passionate about the organisation and the people in it. He is an innovative leader with a keen interest in Organisational Development and has led transformational change in the Service over many years. He has a Masters Degree in Fire Investigation and has led on many high profile investigations, including several murder cases, and is now the UK National Fire Chiefs Council (NFCC) Lead Officer for Fire Investigation. He is also the National sponsor of the NFCC’s Executive Leadership Programme, delivered by Warwick Business School, which is the principle leadership programme for UK Senior Fire Officers. Chris is an unpaid Director of HFR Solutions (CIC), an award winning Social Enterprise and private company that delivers safety services, predominantly to the private sector, and generates significant funds for HFRS and local charities, is also a trustee of the Tribune Trust charity. This presentation will allow participants to gain knowledge of the inherent hazards associated with marihuana grow operations and clandestine drug labs. The participants will learn what to look for during size up of an incident and how to identify indicators that they may be dealing with a possible marihuana grow operation or an illicit drug lab. The presentation will provide the participants with the steps to take if they encounter one of these operations to ensure the safety of their firefighters. The presentation will also demonstrate the additional serious hazards to avoid including booby traps and other dangers for First Responders. Dale Moore is an Instructor with the Canadian Police College, the Ontario Fire College, and the Ontario Police College. He provides specialized support to the Police Service’s Drug Enforcement units when they are executing warrants for grow ops and drug labs. Through his support on drug enforcement investigations, he has played a major role in laying drug charges and convictions that have resulted in jail time for Fire Code violations involving grow ops and drug labs. Dale is also a Program Specialist with the Ontario Fire Marshal Emergency Management’s (OFMEM) Emergency Preparedness and Response Unit (EPRU). Before joining the OFMEM, Dale spent 26 years in the Fire Service as a career firefighter. He rose through the ranks of the Fire Service to the position of Chief of Operations with the Gatineau Fire Service in Gatineau Quebec. During his firefighting career, he was a member of the Quebec Ministry of Public Security’s committee responsible for the creation and administration of Quebec’s level 3 Hazmat/CBRNE teams. Dale has been a federal instructor for the Canadian Emergency Management College and CFB Suffield First Responders Training Program (CBRNE). International CBRNE instructor with the Canadian International CBRNE Program and instructed CBRNE/Counter-Terrorism response to Fire, Police and Military members in Indonesia and South East Asia. He also served as a member of the Canadian CBRNE Security Detail for President Bush’s Canadian visits and for the Vancouver Olympics. We all have the right to work in an environment that is free from harassment and violence. An unhealthy workplace can have harmful and damaging consequences for both the employer and its employees. This presentation will set out what the legislation says about harassment in the workplace and will provide attendees with a better understanding on how to identify what is and what is not harassment, and what obligations they have in preventing, responding to and investigating allegations that may arise. Zaheer Lakhani is a partner at Bandhu Lakhani Campea LLP, a boutique employment law firm located in Oakville, Ontario that specializes in employment and labour law. Zaheer advises and represents various sized employers in a variety of areas such as human rights, including disability and accommodation; wrongful dismissal claims; employment standards compliance and litigation, and general strategic HR advice. Zaheer has been practicing law since 1998 and has previously appeared as a guest on CBC Radio and Radio Canada to speak about gender discrimination in the restaurant industry and to discuss toxic workplaces. He has been quoted by the Canadian Safety Reporter in a story related to workplace harassment and was a presenter in HRPA’s Quarterly Employment Law Update where he provided updates in a series of four webcasts from 2013 – 2014 regarding employment human rights. Last year, California experienced more than 7,600 wildfires that charred more than 1.8 million acres, up from 1.3 million acres in 2017. Six of the 10 most destructive fires in the state have occurred in the past two years. Deputy Director, Mike Mohler will take you through CalFire 2018, a year in review - the worst wildfire season in recorded history for California. Chief Mohler began his fire service career in 1991, as a reserve firefighter in Orange County, assigned to the heavy equipment and crew division. While working as a reserve, he attended the Santa Ana College fire science program and worked full time as a firefighter for Boeing’s Aeronautics and Missile Systems Division in Anaheim. Mike began his career with CAL FIRE in the San Bernardino Unit as a Firefighter I in June 2000. In May 2001, Mike was promoted to Firefighter II in the Riverside Unit and in 2005, he was promoted to Fire Apparatus Engineer. In 2010, Chief Mohler was promoted to Fire Captain in the San Diego Unit. In 2015, he was promoted to Battalion Chief at Southern Region, where he worked for the next 3 years supervising the Southern Region information and communications programs. Mike was vital in continuing to build their department’s non-traditional media exposure, with projects such as Netflix’s Fire Chasers and Extreme Weather with National Geographic, which has showcased their department worldwide. Chief Mohler participates on several statewide cadres and working groups, including: S-420, CIMCI and AAIMS. He holds several qualifications, including Advanced All Hazard Incident Commander from the University of Texas A&M, and has been assigned to a CAL FIRE Incident Management Team for over 11 years. He currently holds a seat on FEMA’s advisory committee for response to large scale incidents. In addition to his departmental assignments, Chief Mohler has also served as an Honor Guard member for over 17 years, honoring the fallen and supporting their families. Mike is currently enrolled in American Military University’s Emergency and Disaster Management program. Benjamin Franklin is widely known for his many contributions to science, politics, and community-building across the globe, including forming one of the earliest North American fire companies in 1736 Philadelphia. Franklin’s maxims on exercising leadership are as relevant today, as they were when he served as the Union Fire Company’s first fire chief. Tiffanye S. Wesley is celebrated as a leader and trailblazer. The author, trainer and inspirational speaker is also a Fire/EMS Battalion Chief with the Arlington County Fire Department in Arlington, Virginia - the first African American female to be promoted to this level of leadership in the department’s 78-year history. A 25-year veteran of the Arlington County Fire Department, Tiffanye has served in numerous positions. The most notable positions include Nationally Certified Bomb Technician and Bomb Commander, Station Commander for the largest and busiest firehouse in Arlington and most recently Battalion Chief. As a Battalion Chief, Tiffanye is responsible for effective supervision, management and coordination of emergency scene operations, as well as; daily operations of a battalion which includes 5 fire stations and approximately 40 personnel. As a John Maxwell certified speaker, trainer and coach, Tiffanye ignites audiences all over the country with her leadership and development classes, as well as, her inspirational speeches. This year she will be presenting for the 3rd year in a row at the largest Fire Department Instructor’s Conference (FDIC), normally attended by more than 39,000 industry leaders. She has also been selected the be the Keynote Speaker for the 2019 I-Women conference. As an Author, Tiffanye released her published work in the book anthology, No More Chains. Her story is also profiled in a 2017 documentary by the same title. Tiffanye’s story has been featured in several local news segments, as well as, several internet projects published by Georgetown University Journalism students. Her most prized interview to date was her 2016 ‘Leading Lady’ segment on the Harry Connick Jr. Show. This ‘woman on fire’ is an inspiration to men and women all over the country because of her transparency and story of determination and commitment in a career no one ever thought she would survive. Her ‘Nevertheless, she persisted’ attitude has allowed her to climb the ladder of success even when the odds were stacked against her. Tiffanye uses prayer, poetry and daily positive affirmations to keep focused and renewed. She also commits to a healthy lifestyle of eating and exercise. She is married to her best friend, Eric Wesley, who is also a Lieutenant in Arlington County. They have four beautiful children, 2 of which also work in public safety and one grandchild. Although the incident burned for over two weeks until firefighters were able to contain it, most of the loss of life and property destruction happened in just the first four hours and was centered in and around the town of Paradise in Butte County. All told, the Camp Fire burned 153,336 acres, destroyed 18,800 homes and killed 85 people. The registration rate for the Chief Officer Track is $550.00 for OAFC members and $600 for non-members, plus HST. The event takes place at the International Centre at 6900 Airport Road, Mississauga. Accommodations and evening functions are at the Holiday Inn Toronto International Airport Hotel & Conference Centre. Attendees are responsible for booking their own hotel accommodations. Visit our accommodations page for more information. Complimentary shuttles will be operating every 20 minutes between the hotel and the International Centre. REGISTER FOR THE CHIEF OFFICER TRACK NOW! The Training Officer’s track offers a specialized program that offers new and innovative ideas relevant to today’s chief and fire training officers. The program includes specialized sessions by a high profile instructor, speaking on the most current hot topics in fire training. This program offers the perfect opportunity to build a communications network to share best practices and resources with other training professionals. Don't forget the pre-conference events, the OAFC Fire Service Health & Safety Program and the Queen's Park Lobby Day (OAFC members only) on May 1, 2019. Understanding the fire dynamics of a residential structure fire is essential to strengthens a firefighter’s ability to operate effectively on the fire ground. Research has demonstrated some key fire dynamics principals all firefighters should know. This class will review these key principals and discuss how they can be employed tactically on the fire ground. Emphasis will be placed on understanding how the actions of the initial arriving companies will impact the fire dynamics and victim survivability within a residential structure. Robin Zevotek is a Research Engineer with the Underwriters Laboratories (UL) Firefighter Safety Research Institute where for the last 5 years he has studied firefighting ventilation and suppression tactics for residential structures. He has 17yrs in the fire service thought out the east coast, and is currently serving as a Lieutenant with the Ellicott City Volunteer Fire Department in Howard County, MD. He has a bachelor’s and master’s both in fire protection engineering from the University of Maryland. In addition, he is a licensed fire protection engineer with 5 years of fire protection design experience. The registration rate for the Training Officers Track is $550.00 for OAFC/OAFTO members and $600 for non-members, plus HST. REGISTER FOR THE TRAINING OFFICERS TRACK NOW! The Municipal Officials Program: The Essentials of Firefighting and Firefighting 101 offers municipal officials the opportunity to understand the challenges of the fire service and its importance in their communities. This two-day session includes presentations customized to provide you with essential information about the fire service. The highlight of the program is our interactive, hands-on fire training experience. Slip into bunker gear and experience firsthand the life of a firefighter by participating in a live fire training session that includes a simulated search and rescue, vehicle extrication and extinguishing fires. This program has been specially tailored by the Greater Toronto Airport Authority Fire Department. Attendees who have previously attended this seminar repeatedly said that it was one of the best seminars and training sessions that they had ever attended! Past attendees have included government officials, mayors and councillors, CAOs, directors and other senior municipal staff. The responsibilities and qualifications of fire service managers have been significantly expanded with recent regulatory and legislative changes. Furthermore, the expectations of how municipalities execute their duties, powers and responsibilities under the Fire Protection and Prevention Act has been the subject of much scrutiny in recent Coroner’s Inquests, Fire Safety Commission decisions and torts. He has previously served as the Ontario Fire Marshal and Chief of Emergency Management. Prior to that, he was the Ontario Deputy Fire Marshal. Jim has also been a Deputy Fire Chief in the Cities of Niagara Falls and London; roles in which he championed the retroactive installation of sprinklers in care occupancies, enforcement of the Ontario Fire Code and data driven public education strategies. Jim holds multiple degrees including a Master of Business Administration from Brock University and a Masters of Public Administration from the University of Western Ontario. This presentation will review key liability issues within the fire service with a view to providing attendees with the practical tips and advice they need to manage risk within their municipality’s fire department. The registration rate for the Municipal Officials Program is $375.00 plus HST. REGISTER FOR THE MUNICIPAL OFFICIALS PROGRAM NOW! The OAFC and the Ontario Fire & Life Safety Educators (OFLSE) have developed a public educator program, specifically tailored to promote education initiatives relevant to today’s public fire educators and fire prevention officers. The program is designed to share information, resources and network with likeminded professionals. This role is very important in a fire service, as most fires are preventable. Ontario’s public educators educate, train, motivate and inspire fire and life safety programs and messages in their communities. This program helps develop new, innovative ways to promote fire safety and education. Wendy Lund, CEO/Founder Wellth Management Inc.
'When you teach first responders how to manage a difficult airway, you save patients lives, when you teach them how to handle difficult emotions, you save theirs'. We live and work in a pathogenic model of reacting to challenging, life-threatening situations. First responders are highly skilled at doing so. We now know they are at risk for drowning in their work ~ emotionally, psychologically, spiritually. When we teach people to swim, we first teach them how to save themselves from drowning. Not because they will, but because we know the risk. It's time to we started drown-proofing our most vulnerable workers with a proactive approach to equip them with the tools that may come in handy one day. Not because they will, but because we now know the risk. Wendy brings more than 3 decades of experience as a Professor in Nursing & Paramedicine to Wellth Management Inc. As the science lead for over 30 years, she understands how the mind and body work at ease and in dis-ease. She discovered the benefits of mindfulness in her personal life over 10 years ago through a period of significant adversity and became passionate about sharing it with others. She co-founded a student association called Mindful Medics and the first full credit college course on mindfulness in Canada called 'Mastering the Moment' that continues to fill up every semester. She returned to school and completed a MSc in Mindfulness Studies in the fall of 2017 where her research study investigated the experience of trauma in first responders to build a case for why proactive resiliency education matters. Her trademarked certificate educational program, Reach for Resiliency [R4R] helps to fill a significant gap of understanding how to use our minds to engage omnipresent stressors of trauma, tragedy and suffering in a way that moves us towards our best potential. Gone are the days of forcing messaging down peoples’ throats and expecting them to care. This talk will delve into how to create excitement and interest through magnetic storytelling and earned-centric thinking. Real world examples will be shared to demonstrate how with an ever-changing media landscape, it’s more important than ever to create campaigns that people want to actively engage with, participate in and share. With an MBA from the J.L. Kellogg Graduate School of Management, Andrew is anything but the typical Chief Creative Officer. He began his career in the US at JWT New York and Saatchi & Saatchi Los Angeles. In 2001, he moved to Toronto to join DDB, eventually rising to the role of Executive Creative Director. In his nine years at the agency, DDB was named Agency of the Year an unprecedented five times and Canada’s most creative agency six times. Andrew joined Edelman in September 2015 and in 2017, helped the team win Strategy's PR Agency of the Year as well as earn the first Cannes Lion as well as Clio ever awarded to a Canadian PR agency for his work on HP. Andrew is acknowledged as an industry leader and has been featured on CBC’s The National, Metro Morning, Q, Global TV’s National News, TVO's The Agenda with Steve Paikin, and has been profiled by both the Globe & Mail and the Toronto Star. He is the current president of the Advertising & Design Club of Canada. But for all of Andrew’s accomplishments and accolades, perhaps most impressive of all is his vast collection of shiny shoes. The registration rate for the Public Educators Track is $335.00 plus HST. REGISTER FOR THE PUBLIC EDUCATORS TRACK NOW! The Ontario Fire Communicators Association in conjunction with the OAFC have developed a forum to help communicators understand more about today’s common issues facing Ontario’s communication centres. Fire communicators are those responsible for the processing of requests for emergency and non-emergency assistance received via 9-1-1 lines, administration lines, the radio system or direct contact with the public. They work closely with communicators from Police, EMS and other services to provide rapid, effective response. The seminar includes a variety of presentations specifically selected on important issues facing communicators in today’s fire service. There is an optional "add-on" should you want to stay for Saturday, May 4, 2019 and participate in the keynote sessions and trade show. 2018 Coroner's Inquest into the 911 Communications System. Jesse has been a member of the City of Greater Sudbury Fire Services for eight years. He began his career as a Volunteer Firefighter before being promoted to Assistant Deputy Fire Chief, and most recently to Acting Deputy Fire Chief. He is completing the Humber College Fire Services Executive Management Program this fall and has over 20 years of experience in senior level Information Technology and Information Systems Management. Leading the Greater Sudbury Fire Service records management system, 911 communications, health and safety committee, along with suppression and fleet operations, Jesse is an integral part of the leadership team in Greater Sudbury. During the 911 Coroner's Inquest, held in 2018, Jesse was a member of the expert panel which provided testimony on the state and function of 911 communication and dispatch services. Jon Hay has been with Thunder Bay Fire Rescue for over 35 years and has been the fire chief for 11 years. Chief Hay serves on the NFPA 1026 Technical Committee for the Professional Qualifications Standards for Incident Commanders, is a Level 4 Incident Commander, is a member of the Ministry of Labour’s Section 21 Committee for Fire Fighter Safety in the Fire Service and serves as the Thunder Bay District Mutual Aid Coordinator. Chief Hay’s speciality training includes Haz Mat Technician, Transportation of Dangerous Goods, Urban Search and Rescue, Technical Rescue, High Angle Rescue, CBRNE response, Large Scale Disaster Management and Incident Management. Chief Hay is a northern Ontario appointee to Fire Marshal’s Public Fire Safety Council and serves as a director on the Ontario Association of Fire Chiefs Board. Chief Hay’s holds the fire service communications portfolio on the OAFC Board and has been actively working with stakeholders on NG-911 and the Public Safety Broadband Network. The registration rate for the Fire Communicators Track is $235.00 plus HST. The optional Saturday "add-on" is $100 plus HST. REGISTER FOR THE FIRE COMMUNICATORS TRACK NOW! We encourage attendees to bring your spouse to OAFC 2019. You’ll both enjoy a few days away from home, appreciate the ample networking opportunities and experience what’s new and exciting in the fire service. The Companions program allows access to all the guest speakers, the trade show and includes all meals and evening functions included in your spouse’s package. We are currently finalizing the 2019 Companion's program. Stay tuned. Last year we hosted a gift making workshop that taught guest how to make soaps, lotions and other items and the hotel hosted an amazing cooking demo from their executive chefs. The registration rate for the Companions Program is $125.00, plus HST. REGISTER FOR THE COMPANIONS PROGRAM NOW! If you have any questions, please contact one of our staff below. Our event team is more than happy to assist. For questions regarding the event, hotel accommodations, companions program or trade show, please contact Kris Newton, Events & Trade Show Coordinator by email to kris.newton@oafc.on.ca or call 905-426-9865 x224.